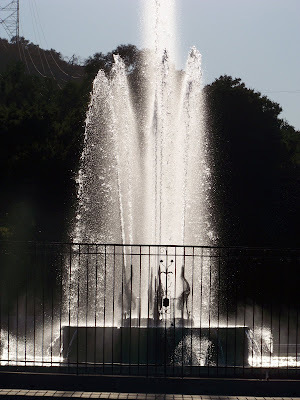 A fountain at one of the many Forest Lawn Cemeteries throughout Southern California. Ya know, I scrolled backwards and upon first gaze, I thought this to be a black and white photo. That is until I saw the blue sky. Groovy. I have a love/hate relationship with fountains. I love them because they are beautiful ... but I hate water waste, and running water makes me immediately think, "water waste."